With MerchantCircle's Talk To Me feature and Reviews - both of which allow responses and interactions - merchants, and even city leaders can engage with their community in real time. Deals and Coupons built on MerchantCircle listings can even be used to tout city fairs, festivals, and farmer's markets. The possibilities are endless. No matter how you're using MerchantCircle or who is using MerchantCircle - you will always have a free tool to engage your community. P.S. 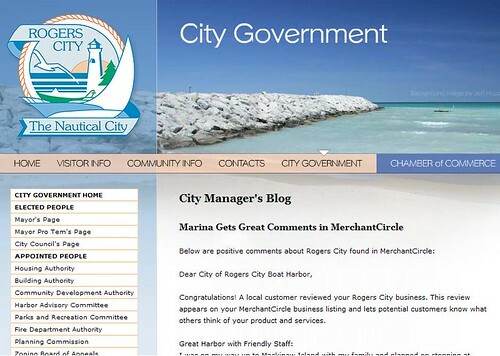 Check out the Rogers City MerchantCircle listing here.